Art.nr:: 4782 Kategorier: BMW, ENGELSKE HÅNDBØKER. Saloon (E90) & Touring (E91) with 4- & 6-cylinder engines. 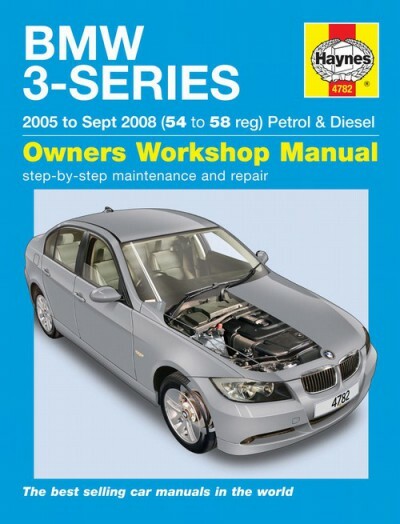 318i, 320i, 325i & 330i petrol & 318d, 320d, 325d & 330d diesel. Does NOT cover 320Si, 335i, 335d, M3, Coupe, Convertible or models with xDrive. Does NOT cover ‘facelifted’ model range introduced Sept 2008. Petrol: 2.0 litre (1995cc), 2.5 litre (2497cc) & 3.0 litre (2996cc). Turbo-Diesel: 2.0 litre (1995cc) & 3.0 litre (2993cc).